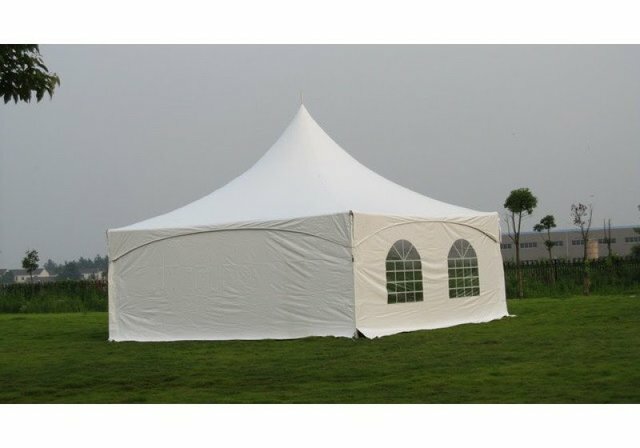 This beautiful tent will provide quick and easy protection from the elements at your next casual gathering or any type of event. Our 20x20 High PeakTent can hold up to 67 guests. It is the perfect party tent for your outdoor event, including weddings, graduations, church functions, reunions and more.